The big three API exam prep courses including API 510/pressure vessel, API 570/pressure piping, and API 653/storage tanks will be provided and are also available online. These courses will be offered in 5- to 11-day formats depending on client need. Exam prep instruction will be offered for API 1169/pipeline inspection, API 580/risk based inspection, API 571/corrosion and materials, API TES/tank entry supervisor, API 936/refractory, and API 577/welding and metallurgy. Atlas will also offer customized training as requested by customers for the inspection and maintenance of piping and equipment. 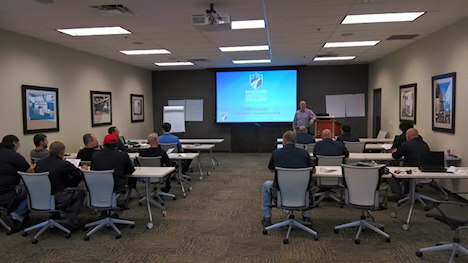 In the effort to service the ever-increasing demand for on-site instruction, Atlas API Training has expanded their instructor recruitment program. On-site training services by Atlas API Training will provide our corporate partners both convenience and a highly-focused learning environment for greatest integration. Our instructors have more than a century of combined experience in the industry and as such are extremely qualified to provide top level training for clients.